Home / #TrueNews / Health / Science / True News / U.S. / Health,True News :Is Heroin vaccine a real solution in fighting America's opioid epidemic ? Health,True News :Is Heroin vaccine a real solution in fighting America's opioid epidemic ? Researchers say they are one step closer to testing a heroin vaccine in humans -- in what they hope will become an additional weapon in fighting America's opioid epidemic. Scientists at The Scripps Research Institute, in California, have developed an experimental vaccine that appears safe and effective in animals. It also has a long enough shelf-life to be practical. Those are all key hurdles, the researchers said, and the vaccine is almost ready for testing in people. No one will know what the effects or toxicities could be until those human trials are done, said Sandra Comer, a researcher who was not involved in the study. "But based on this pre-clinical testing [in animals], it looks promising," Comer said. She's a professor at Columbia University and scientist with the New York State Psychiatric Institute, in New York City. 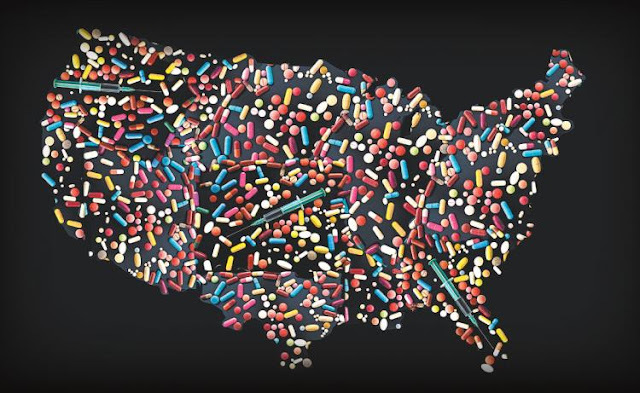 The findings, published Feb. 8 in the journal Molecular Pharmaceutics, come amid a stream of bad news on the U.S. opioid epidemic. Opioids include certain prescription painkillers -- such as OxyContin and Vicodin -- as well as illegal drugs like heroin and illicitly made versions of the painkiller fentanyl. Recent research has found that Americans' prescription opioid abuse seems to be leveling off. But overdose deaths are climbing. Last year, a government study highlighted the toll that heroin, alone, is taking. From 2002 to 2016, annual deaths from heroin soared by 533 percent nationwide -- from just under 2,100 deaths to more than 13,200. Right now, several drugs -- methadone, buprenorphine and naltrexone -- can be used to treat opioid addiction. Methadone and buprenorphine act on the same brain targets as opioids, and suppress withdrawal symptoms and cravings. Naltrexone blocks the effects of opioids in the brain. The idea behind the experimental vaccine is to train the immune system to recognize and bind to heroin molecules, according to the Scripps researchers, led by Candy Hwang. That, in turn, blocks the drug from reaching the brain to create a "high." Comer, who is also studying an experimental opioid vaccine, said the approach has a few possible advantages. Buprenorphine and methadone have the potential for abuse, but that would not be an issue with a vaccine, Comer said. Nor would people have to go through detox before getting a vaccine, she explained -- which is necessary with naltrexone. Plus, Comer said, a vaccine could potentially be given to people who are on existing medications. Then, if they stopped treatment -- as often happens -- the vaccine could continue to prevent them from getting high, and offer a chance to get them back into treatment. The Scripps researchers have been working on a heroin vaccine for several years. They tested an earlier formulation in 2013 and found it was safe and effective in rodents and non-human primates. However, experts point out that research in animals frequently doesn't produce similar results in humans. In this latest study, Hwang's team tested 20 formulations. According to the researchers, heroin molecules do not trigger an immune system response, so any vaccine needs an effective "carrier protein" to do that job. The vaccine also needs an "adjuvant" -- an ingredient that enhances the immune system's response to the carrier protein. Hwang's team was able to zero in on a formulation that protected lab mice from fatal heroin overdoses -- and stayed stable at room temperature for at least 30 days. That vaccine contained an adjuvant, called alum, that already is approved by the U.S. Food and Drug Administration, the researchers explained. Current medications help many people with opioid dependence, but there is clearly a need for more options, said Charles Neighbors, director of health services research for the National Center on Addiction and Substance Abuse, in New York City. "The disease course of opioid use disorders is long, with most people cycling through periods of treatment, then return to use, then back to treatment," Neighbors said. "Recovery is hard, so we need more tools to help those in need." But while researchers work on new treatments, many people lack access to the current therapies, he said. Neighbors pointed to some obstacles, including community opposition to methadone clinics, and the need for doctors to be certified to prescribe buprenorphine. Plus, some providers who treat substance abuse believe that the medications for opioid dependence "reinforce" addiction, he added. "And yet," Neighbors said, "the scientific evidence is clear that, without medications, most individuals with significant dependence on opioids will not be able to enter sustained recovery."